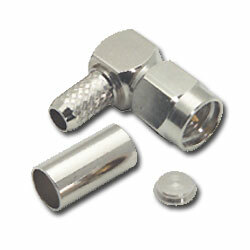 Crimp on F-type coaxial connector with 90 degree bend. Used with RG59 PVC coaxial cable. Comes in a package of 6.